With the month of March upon us and those warmer days, and lighter evenings edging closer and closer. 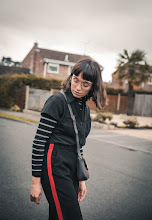 I thought I would reflect on a few of my favourite products from the month of February. 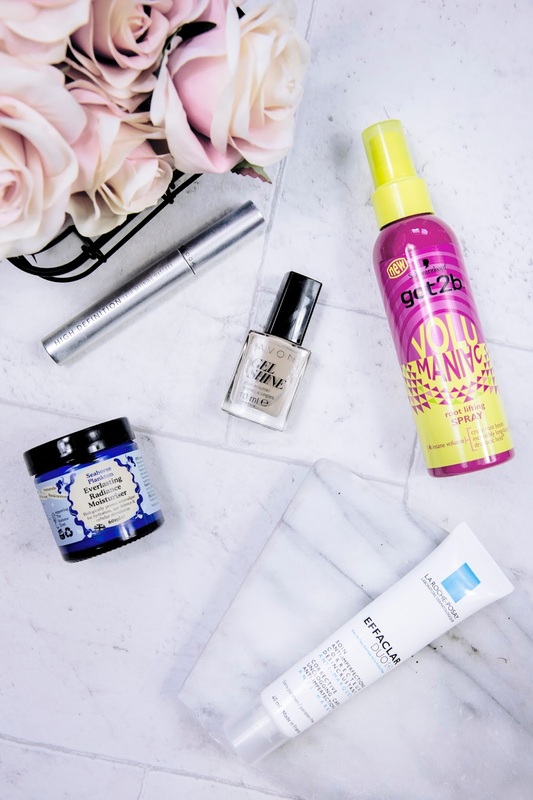 First up is a couple of my current make-up go-to's, including this mascara that I picked up from New Look on a whim. To be honest I have never really tried out their recently 're-branded' beauty line, but I ran out of my current one and this "High Definition Lash Defining" mascara caught my eye. Application wise it's a standard 'classic' mascara wand, but for me I love how it adds a more naturally defined look to your lashes. One thing that surprised me was that the formula is extremely long wearing, but is still easy to remove (I use the micellar water from Simple). 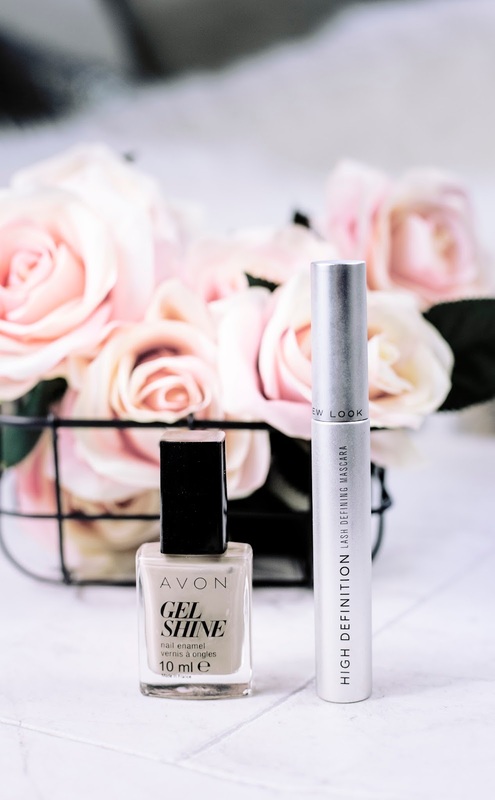 Another make-up product which I have enjoyed using is the Avon Gel Shine Nail Polish in "Barely There". 9 times out of 10 I don't really fuss over my nails, however when I do I love to opt for the more neutral tones and this one from Avon is perfect. It is also fairly long-wearing too (approx. 5 days), which is perfect for people who don't have time to constantly keep topping up their nail polish. Hair wise this month I've been keeping it simple with using products that nourish and add shine. However the Schwarzkopf Got2b Volumaniac Root Lifting Spray has become a new favourite in adding a touch of volume to my roots. I have thick, straight hair but I often find that no product really holds in adding volume to my roots. Despite this, this product is extremely long lasting, as all you have to do is spray it 15cm away from your roots on damp/wet hair and blow-dry thoroughly-focusing on the roots. Lastly there's been a couple of skincare products that I've been religiously using this past month. 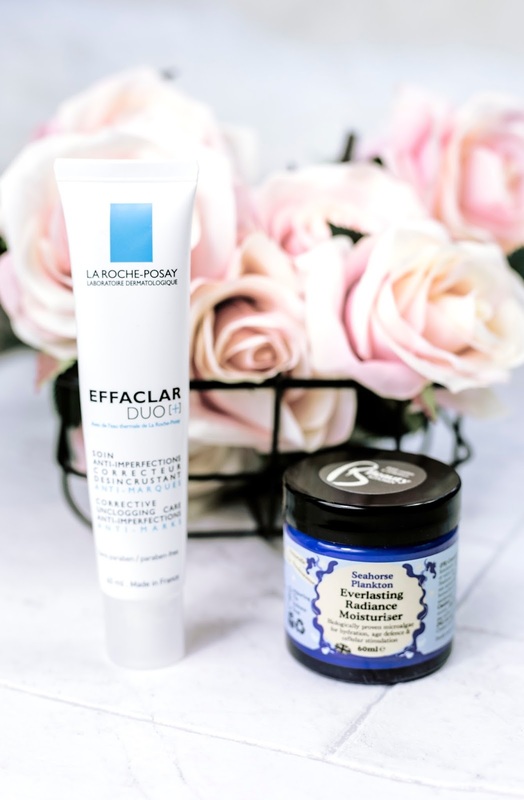 First is the La Roche-Posay Effacer Duo+ which is a firm favourite in the beauty world, and admittedly is a must-have in my skincare stash. I started using the La Roche-Posay Effacular 3-Step Kit a couple of years back as at the time I was suffering from severe acne, and the 'normal' acne range of products were simply drying out my skin. However this aided in clearing up my acne (NOT drying out my skin) and I honestly cannot praise these products enough! 2 years down the line my skin is completely different and nearly acne free, but this is the one product I still use out of the kit in keeping those pesky zits at bay. As previously mentioned my skin type has changed over the years from being once an oily/acne faced teen to having more of a "balanced" complexion in my early 20s. With that said I often suffer from dry patches on my face-probably due to the cold weather and changing climates. So I've had to switch-up my skincare routine to using creamier products. This Beauty Kitchen Everlasting Radiance Moisturiser has become a new firm favourite of mine. By both hydrating and protecting my skin, whilst improving its overall appearance.